After a first compilation released back in 2015, which featured the first six episodes of the Mega Man franchise all released on Nes, Capcom continue with Mega Man Legacy Collection 2, featuring the last main games of the blue robot. A journey back in time that might be too much aimed at fans of Mega Man. At first glance, Mega Man Legacy Collection 2 is almost exactly the same proposals as the other Capcom compilations: the different games are playable in the old aspect ratio or stretched, adding a museum with art, original soundtrack music player and some additional game challenges. As with previous compilations, the games run through technically a basic internal emulator, which allows you to enjoy the qualities, as well as defects of those 4 games. The basic format is the 4:3 with the rest of the screen surrounded by a wallpaper that you can choose from a set of 5, or you can play in the highly stretched 16:9, but that defies the point and will make your life harder… Because Mega Man is no easy game. Mega Man has always been a very demanding game franchise: errors are immediately punished, enemies attack in numbers, jumps need to be made without the slightest millimeter error… Hell, if you thought the most difficult Mega Man were in the first compilation because they are older and cruder, well guess again, because Mega Man 7 and 8 are more difficult due to their added animations and variations of gameplay (especially with the eight). Mega Man 8 is an episode considered almost experimental, released on the original Playstation in 1996, with a complete overhaul both on the visual and gameplay side, as well as a noticeable switch to the 32-bit era with animated cutscenes and character voices. Then all of sudden, Mega Man goes back to its roots with Mega Man 9 and 10, which almost reminds us of the last generation of trial and error gaming releases of Capcom. 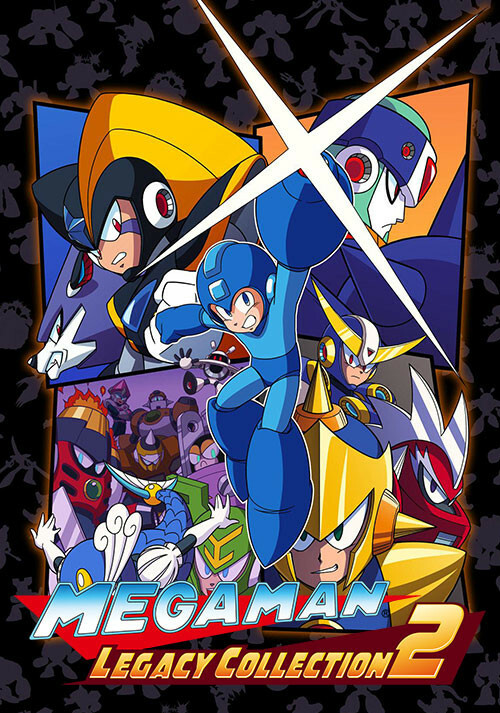 For those that already played these titles on previous emulators, or even the original consoles (which wasn’t that long time ago considering Mega Man 10 came out in 2010), Capcom added a series of challenges for each title. In Mega Man 7 and Mega Man 8, there are in both cases a dozen of time trial challenges that require finishing levels or beating a boss as quickly as possible. For Mega Man 9 and Mega Man 10, the same type of challenges are there, in addition to the already present ones in the original games. In the case of Mega Man 9, this means more than 50 achievements, such as completing a level without killing a single enemy except Robot Master, finishing the entire game without dying… Pretty much a lot to do especially for speed runners and achievement freaks, those are top-notch challenges. As for Mega Man 10, there’s 100 of these challenges, as well as a series of “paintings” to compete with progressive difficulty. All this dramatically increases the lifespan of Mega Man Legacy Collection 2, as long as you want to dwell on challenges that are still very repetitive in the long run, and also very difficult… Probably too much for our new generation of players. Finally Mega Man Legacy Collection 2 is completes the experience with an enormous galleries of key art and other design sketches of each game, as well as their own original soundtracks listed as playlists. It’s sad though that no explanatory text, caption or even fun fact about each piece of art can be found in the museum, turning it into a simple photo gallery. Comparing it with the previous Mega Man Legacy Collection, it’s a bit lazy from Capcom in-house development team’s end (the first one developed by Digital Eclipse), especially considering there are 2 games less than the previous collection. Mega Man Legacy Collection 2 was reviewed using a PlayStation 4 downloadable code of the game provided by Capcom. The game is also available on Xbox One and PC in both retail and online store releases. We don’t discuss review scores with publishers or developers prior to the review being published. • Why no handheld or Nintendo Switch version? If you played the first compilation, Mega Man Legacy Collection 2 brings no surprises and that's great. This collection includes Mega Man 7 to 10, catering obviously to fans of the blue robot, with added challenges but might be too difficult for newcomers.